The hustle and bustle of the holiday season can be stressful. Between buying presents, visiting relatives, and wrapping up projects at work or at home, the most wonderful time of the year can be the most stressful time of the year. But it doesn’t have to be. 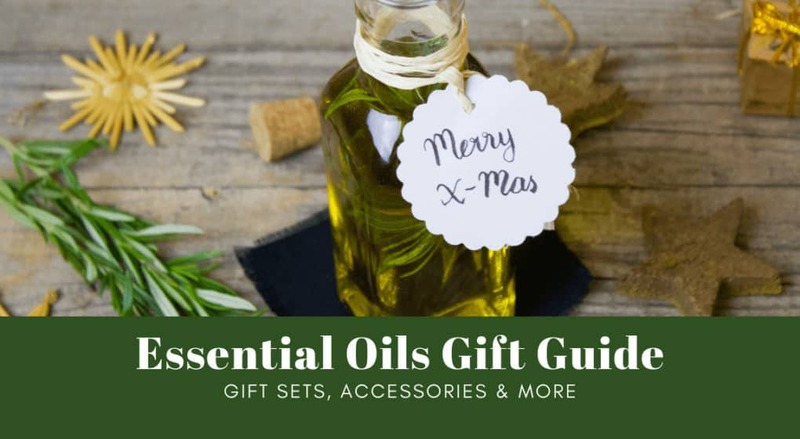 Essential oils are a great tool in battling stress year-round, and we’ve found some great essential oil gift ideas for just about anyone you might need to buy a gift for. Heck, you might even want to treat yourself to some pampering and relaxation just in time for the new year. Here are some of our favorite essential oil gift ideas. Each set offers something a little different, but there’s definitely something for everyone on your holiday shopping list. If someone is just getting into essential oils and needs to round out their collection of oils, or if you're getting someone into essential oils for the first time, you can't beat a great gift set. Below are some of our favorites. Every essential oil enthusiast needs a diffuser. And even if your loved one already owns a diffuser, you can always give another one for another room or space. You can also give a wearable diffuser or a car diffuser if the interior spaces are already well covered. Below are some of our favorites in different categories. This portable diffuser provides soothing scents and colors for up to 8 hours at a time. It’s great for spaces under 200 square feet and has a handy built-in timer feature. 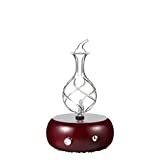 This essential oil diffuser provides soft light in 7 LED colors. 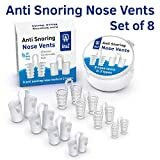 It also works as a humidifier and can help mask pet and other unwanted odors in your home. 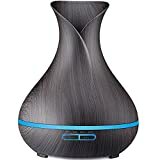 This sleek essential oil diffuser and humidifier is smaller than other diffusers on the market, but it still offers all of the benefits of its larger rivals. With an automatic shutoff feature and a built-in nightlight, this diffuser is great for bedrooms and bathrooms. 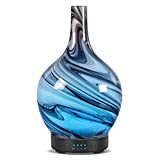 With a beautiful wood-grain finish, this essential oil diffuser looks like an expensive piece of art at first glance.It provides up to 12 hours of quiet misting and produces a soft, glowing light. 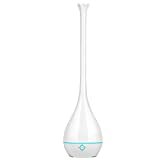 Unlike other diffusers, this nebulizing diffuser uses essential oils only - no water. This provides the highest concentrated fragrance in the shortest amount of time. 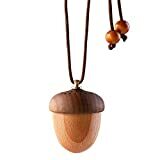 This all-natural wood and glass diffuser provides a strong aroma by using heat free cold vapor and pure essential oils. It has LED lights that automatically change color and it has an, “auto-off,” feature that prevents the diffuser from running for more than 2 hours. 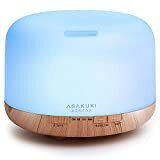 Another beautiful and artistic diffuser gift option is this cold mist humidifier. It comes in 3 beautiful color variations and has LED lights that change colors. This soothing diffuser is easily portable and can be used almost anywhere. Featuring a whimsical whale design, a beautiful floral design, or modern wood-grain designs, there’s a style of diffuser for everyone on your shopping list. This diffuser is whisper-quiet and acts as a cool mist humidifier. This beautifully designed locket allows its wearer to carry peace and tranquility with them wherever they go. 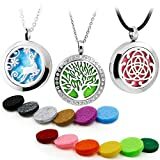 It also comes with 10 different colored pads so this necklace can match just about any outfit. 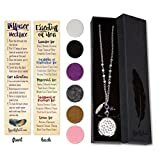 This dreamcatcher diffuser comes with a beaded chain or a tassel and snake chain in multiple sizes. It also has a handy guide for creating soothing essential oil blends. Rose’ all day? Well, actually, this diffuser comes in rose gold, gold, and silver, so you’re bound to find a color for even the pickiest people on your holiday shopping list. This sleek, stainless steel diffuser is light and practical and can be worn daily or for special occasions. Prefer something a little more bold? There are multiple diffuser styles - featuring everything from religious imagery to whimsical cartoons. 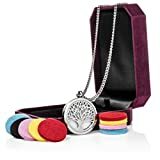 This wearable diffuser locket set is perfect for someone who likes to change up their style. 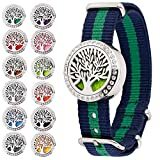 There are multiple colors and styles available, and there are even multiple aromatherapy bracelets. This steel and fabric diffuser is high-quality, durable, and fashionable enough to wear daily. Lava stone has been used to help relieve stress for centuries and can also help to balance Chakras. This bracelet is dainty and fashionable and made from very high quality materials. 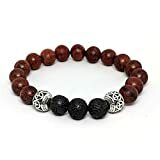 This unisex bracelet can provide stress and anxiety relief to your friends and loved ones. 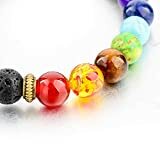 By adding a drop or two of essential oils to the porous lava rock beads, this bracelet will provide a gentle, soothing aroma all day long. How could you not go nuts over this beautiful and all-natural diffuser? Just make sure you keep it away from neighborhood squirrels! Pet lovers, rejoice! 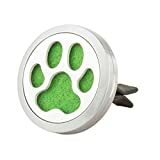 This essential oil diffuser can be used to mask pet odors in your car and show your love for your furry friends! This may not be the most beautiful diffuser you’ve ever seen, but it’s functional and small enough to fit in a car’s cup holder. 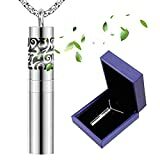 It silently provides mist for up to 4 hours. 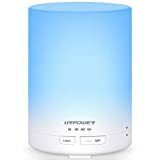 This pure essential oil diffuser requires no water, no battery (has an internal battery that can be recharged) and comes in eye-popping colors. It can operate up to 15 hours and emits a light mist. If you really want to amp up the pampering, adding a spa experience to the bathroom is the way to go. Below are some gifts that bring the spa home and offer some luxury to the everyday experience. You can quickly and easily turn your boring old shower into a spa-like experience with the essio Aromatherapy Shower Kit. 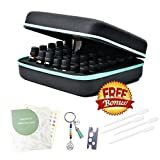 Easy to install and all natural, this essential oil kit will bring the ultimate relaxing experience to what is normally a boring daily task. Is there anything more relaxing that a bubble bath? Maybe a bubble bath with a fizzy essential oils bath bomb. 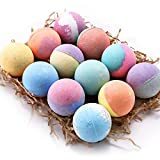 These bath bombs brighten up your bathwater while providing relaxation and smooth skin. 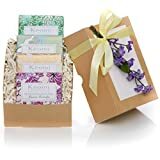 Made for all skin types but suitable for sensitive skin, this gift set is cruelty free and all natural. Made with essential oils, shea, and cocoa butter, these moisturizing bath bombs provide soothing relaxation and help to soften your skin. Is your recipient a real do-it-yourselfer? If so, you can gift them all the ingredients for making some great gifts. 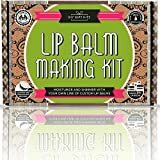 Perfect for the crafter or DIY-er in your life, this set provides everything needed to make all-natural essential oil lip balm. 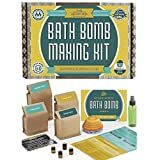 Great to give as a gift or to use as an activity at a baby or bridal shower, this kit produces 12 bath bombs scented with essential oils and made with all-natural ingredients. 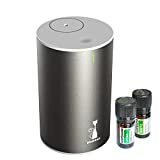 Even if your recipient is a seasoned pro with essential oils, it's unlikely they've invested in some storage and travel gear for the oils. Not only do these items look great, they keep oil spills to a minimum which saves money! Here are some of our favorites. This essential oil storage box isn’t for your casual essential oil enthusiast. It can hold up to 68 bottles of essential oils and can protect them from being damaged by heat or light. 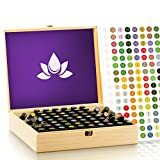 This artfully designed box can hold up to 48 bottles of essential oils and can keep them safe from being damaged by sunlight. 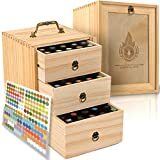 This three-drawer organizational system can hold up to 75 bottles of essential oils. It’s fashionable enough to be on display but highly functional, providing protection from the elements for the essential oils stored inside. If you travel often, you know how easily glass bottles and containers can break in transit. 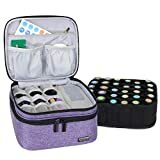 This hard shell carrying case holds up to 42 bottles of essential oils and has spongy foam lining the inside to prevent damage. Made out of heavy duty nylon that’s easy to clean, this carrying case is perfect for travel or home use. It has multiple pockets to store bottles of essential oils and had extra padding to prevent breakage. 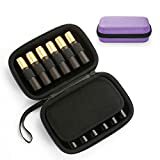 This hard shell case holds 12 bottles of essential oils and is perfect for short trips. Each bottle fits tightly into its own pocket and can’t tumble around or break in transit. Who doesn’t love getting mail? Maybe not junk mail or bills, but presents in the mail? Sign us up! Learn more about this monthly aromatherapy subscription here. Basil-mental and emotional burnout Rosemary-Metal fatigue, relieves anxiety, increases alertness and circulation. Sweet Marjoram is a cephalic, relieves anxiety, increases alertness. Rose Geranium is uplifting, and relieves anxiety, clears thoughts, lymphatic/gentle stimulant. . Lemon boosts the immune system, is a great skin penetrator so goes well with topical blends (caution in sun do to photo toxicity), increases circulation, mood lifter. Jasmine is often used for depression, lifting and comforting. Indian Sandalwood Santalum album, (confusion, tension, depression, stress, nervous exhaustion, anxiety), Sweet Orange Citrus senisis (nervousness, stress, tension, energizes, harmonizes; mental and physical, soothing to the cns), Cypress Cupressus Sempervirens (Calms anxiety, anti-inflammatory, antispasmodic, cns depressant, uncontrolled crying, grief, mind cleansing), Ylang Ylang Complete Cananga odorata (hyperpnea, palpitations, stimulates the thymus gland, balances hormones (S H-H), depression, insomnia, stress, tension, relaxes the cns). Releases nervous tension and exhaustion, antispasmodic, calms anxiety, uncontrolled crying, grief, anti-inflammatory and overall beautiful healing blend.